Our partnership with the New York Public Library has opened up opportunities for students to understand concepts of social & emotional learning outside of the classroom. 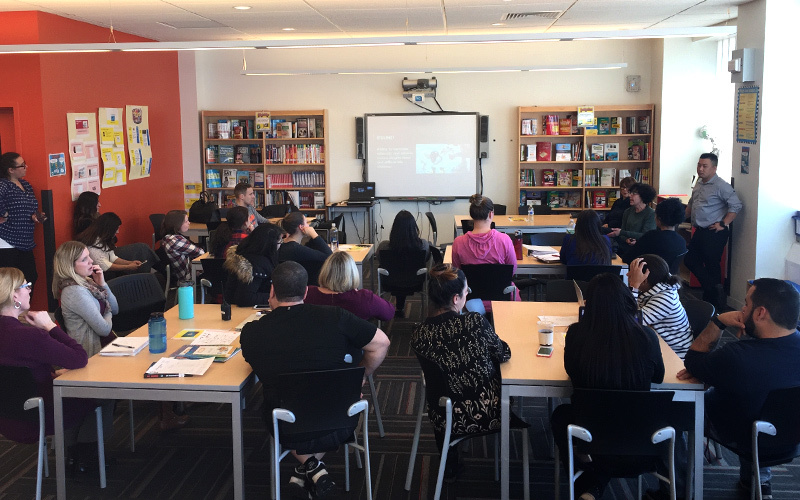 Our professional development seminars open the floor for librarians to ask and discuss how to incorporate the Mutt-i-grees Curriculum into current library programming. 6/20/19 – 6/26/19 – American Library Association (ALA) Conference – Washington D.C. Check out our FAQs or Contact us for more information. Download the brochure and learn how the Mutt-i-grees Curriculum can make a difference for your students.